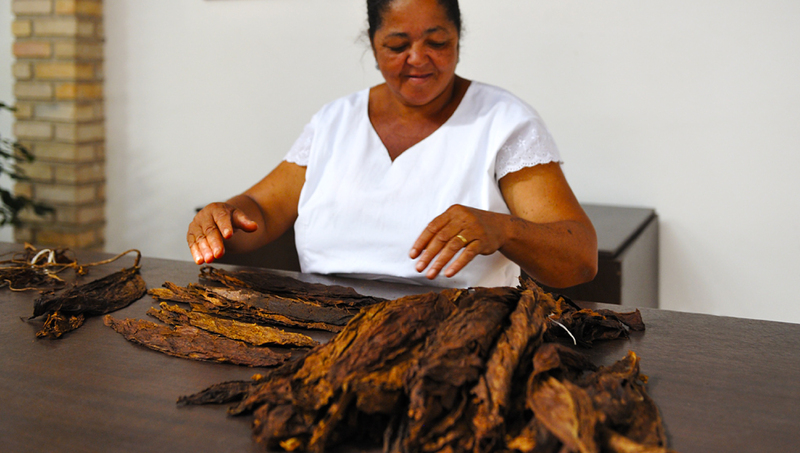 Our tobacco is the single most important element in our cigars and cigarillos. 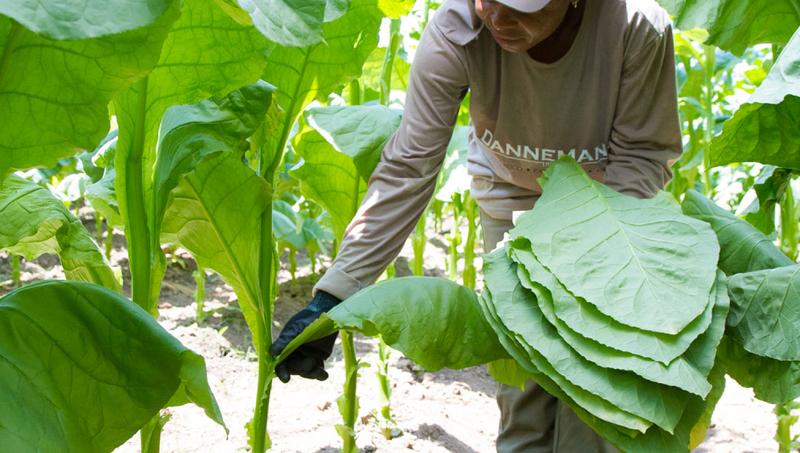 We have been growing our own tobacco since last century and in this time we have developed a deep understanding of the optimum conditions for this precious crop to flourish and how best to mature the harvested leaves. Come and explore the fascinating world of our tobacco, where 21st century agricultural science meets tradition and good old-fashioned patience. Please enjoy our informative video presentation or explore in more detail in THE FULL STORY sections below. Welcome to our greenhouse here at Santo Antônio farm. This is the beginning of a journey for our tobaccos which lasts more than two years, from seed to smoke. As one of the agronomists, I work with the team developing new varieties of tobacco and tending the unique San Antônio crop which we’ve developed here in Bahia. Let me take you on a tour of what we do here in the greenhouse. 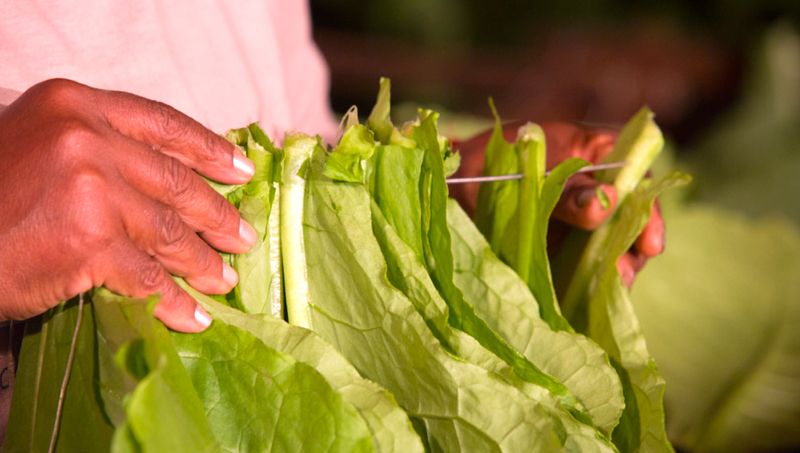 We primarily grow two types of tobacco on our plantation. Each has a characteristic colour, texture, aroma and flavour. The lighter leaf is a golden San Antônio, unique to DANNEMANN and grown under a shade, while the darker leaf is a traditional Brazilian Mata Fina, which thrives in the full Bahian sun. The tiny tobacco seeds are mixed with sawdust, and a pinch is gently placed in each growing cell. Each pinch contains 15-20 tobacco seeds to guarantee germination. After a ten days the sprouting seeds are selected by hand, with the strongest seedling left to grow undisturbed in each cell. In this way, the team can ensure the plants are of equal size and continue to grow at the same rate. There is some science to support the theory that you should sing or play music to you plants. 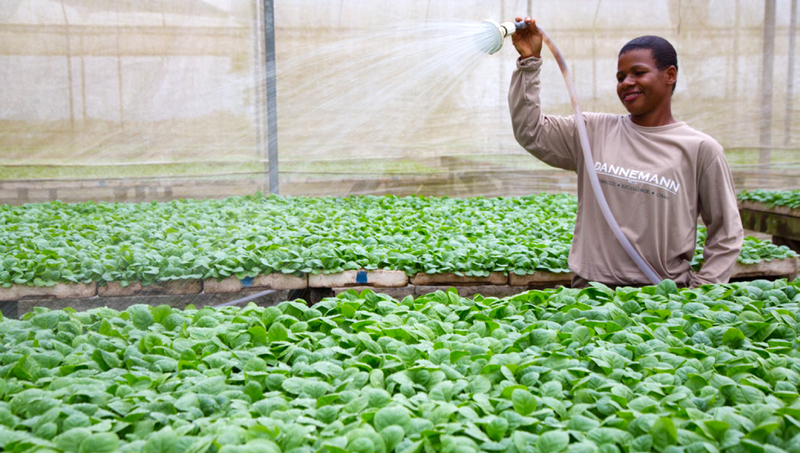 While it might not be in every agricultural manual, it can’t hurt and Alete enjoys singing a tune while watering the crop every morning and evening. It has taken a little less than a month of care in these sheltered conditions for this crop to reach a height of around 20 cm. The seedlings are now ready to be planted out in the waiting fields. 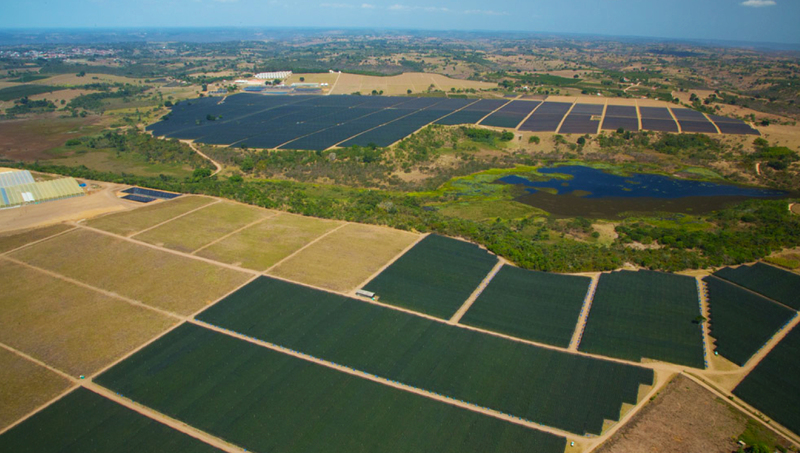 Welcome to our sun-drenched and fertile pastures. My name is Carlos and I’m the agronomist who looks after our fields here in Bahia. The conditions in which our tobaccos grow are just as important as the tobacco variety itself when it comes to determining taste and flavour. While I can’t control the sunshine, I can control the soil condition and precise delivery of just the right amount of water to Celizia’s young seedlings. Come with me and discover just how we offer our tobaccos the perfect conditions to grow and flourish. We have over 1,000 hectares of Bahian land but never more than 25% is ever planted at any one time. It is vitally important for the soils which support our tobaccos to be in the best possible condition, and to do this they need to be rested and restored between crop years. 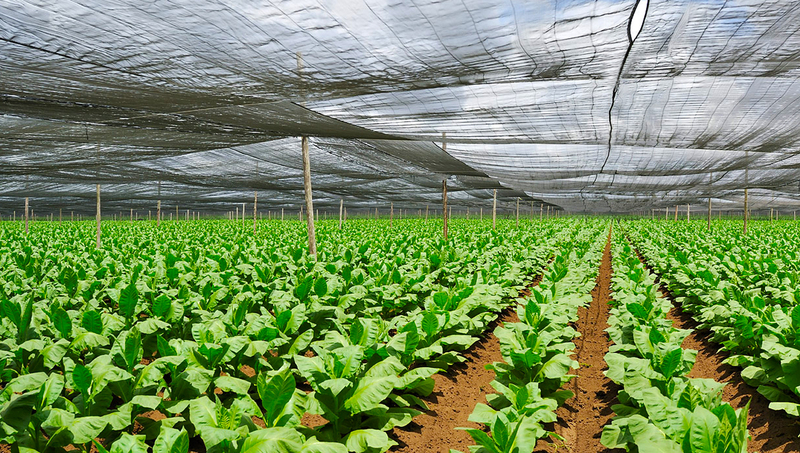 A tobacco plant is more than 90% water so just as the soil needs to be in perfect condition, so does the water. 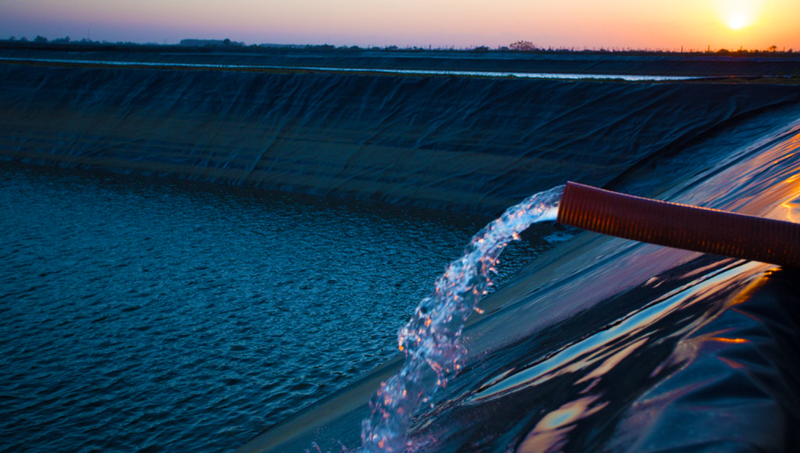 To ensure we never run out we have our very own treatment plant which filters water from our river and dam to provide the perfect pH and naturally dissolved minerals for our tobacco crops. Now the soil is ready and the ground level watering lines in place, the selected seedlings are planted by hand, row after row, field after field. This is important to ensure the plants are placed correctly so they can take root easily, ready to begin developing. This may be the 21st century but there is still room for traditional agricultural techniques. 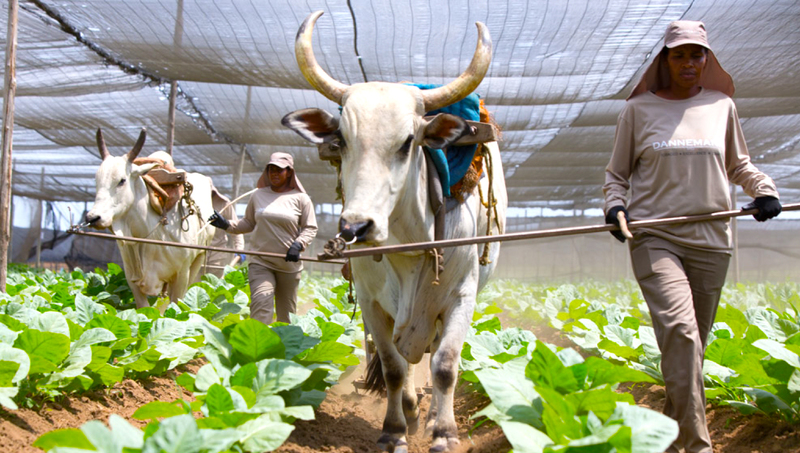 El Toro is one of 20 head of cattle who work the land with our team, opening the soil structure between rows and providing the perfect conditions for our tobacco. Our signature golden San Antônio tobacco thrives in the Bahian heat but requires shade to develop the rich flavours and aromas. Here you can see the netting we string high above the plants to create the perfect dappled sunlight for our precious crops. Carlos monitors the crops daily to ensure the tobaccos thrive, and when he’s satisfied they’ve reached their potential the fields are ready for harvest. It must take place the very next morning before the Brazilian sun can remove too much of the precious moisture. 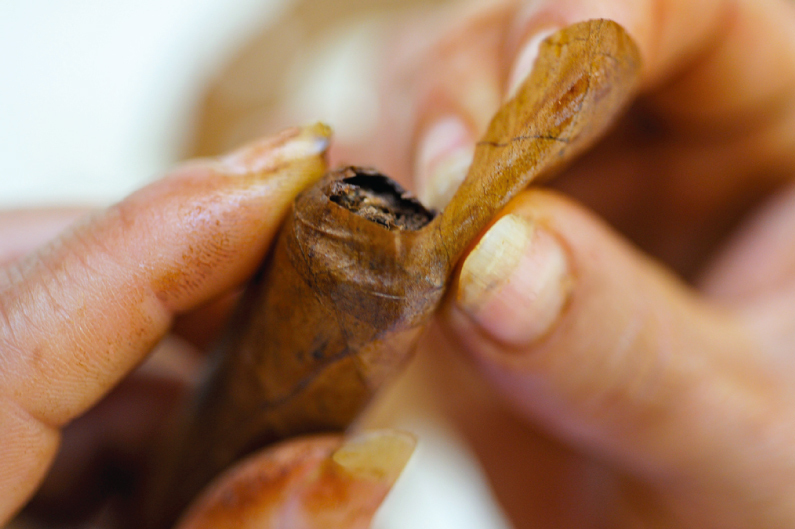 Up until this point, the wrapper leaf tobaccos and filler leaf tobaccos have shared a similar journey, but once harvested they are cured and graded a little differently before being brought back together to roll one of our cigars or cigarillos. Let's first follow the journey our wrapper leaves take when harvested. Two leaves are harvested, every fourth day from each plant. This process is repeated seven times. The remaining leaves and stems are composted and returned to the soil to enrich it ready for the next crop. Roberto, our field manager will oversee the harvest and checks the size, condition, colour and general quality of the leaves in each field as they are brought out. Once harvested, the team work quickly to string the green leaves front to front and back to back on long batons to ensure an even airflow. The batons are then racked in one of the 70 drying barns on the farm. Gently over the course of a month and with the aid of a warm breeze, the leaves slowly lose their moisture, and begin to develop the recognisable rich golden brown colouration. Following the initial air curing the leaves are inspected, then bundled and placed in a fermentation barn where the temperature and humidity are very high. Here the leaves ferment and develop their rich aromas and flavours. After two months in the fermentation barns the leaves are graded according to size, colour, and texture, and tested for aroma and flavour. Each set is bundled with different coloured ties and then rested in carefully controlled conditions for a time, before they are ready to be rolled. 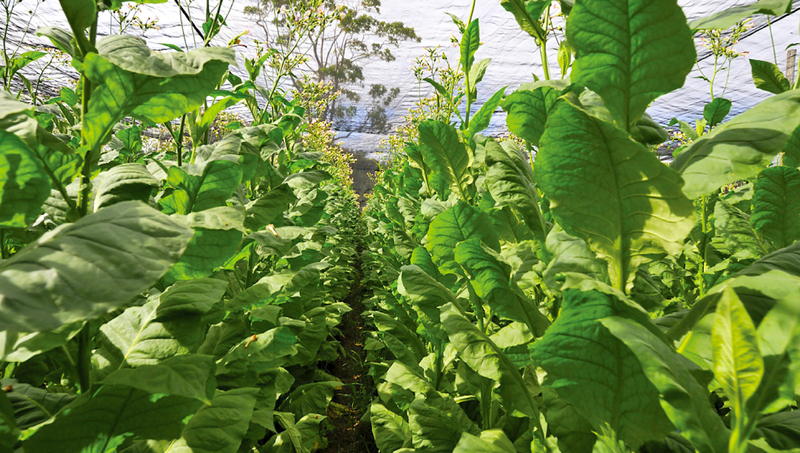 All of our tobaccos are of the highest quality, but every so often mother nature provides a helping hand and the conditions are perfect for growing tobacco. 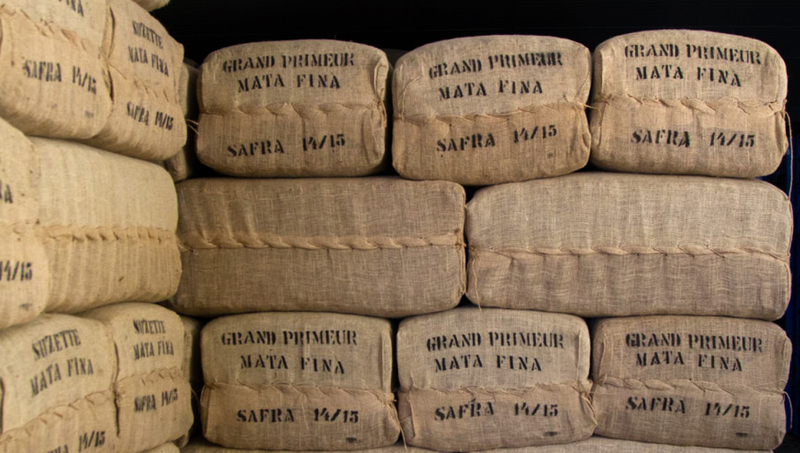 I work with over 200 partner farms across the Mata Fina region to help them grow the precious filler tobaccos with us. 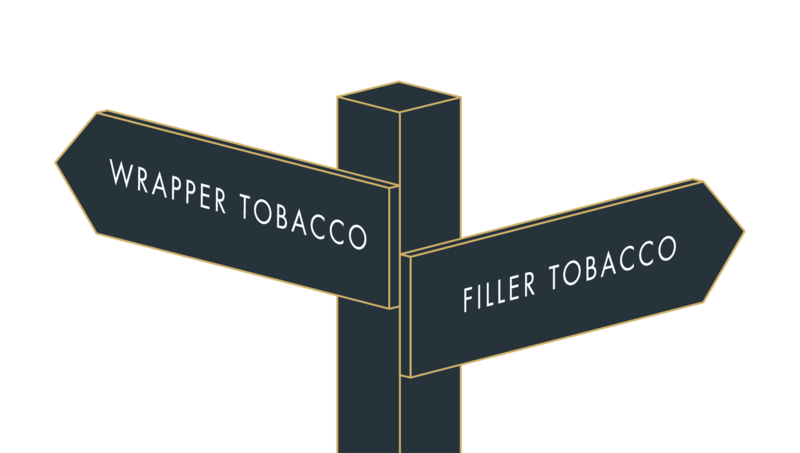 The filler tobacco is very important for creating a soft, balanced, voluminous smoke. These local farmers have been working the land for generations and are part of our extended family. I have a special bond with all of the farmers and I am always popping in to review the year’s crop or just to catch up on the latest news. 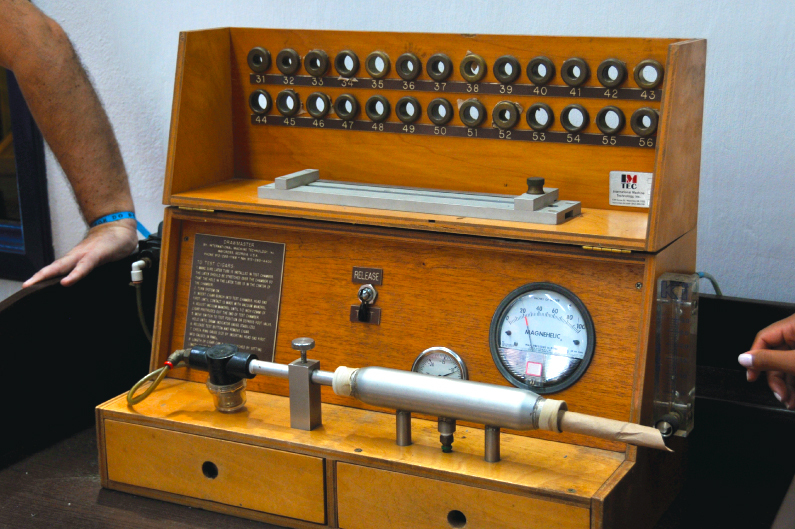 Let’s have a look at how our filler tobaccos are cured, fermented and sorted. 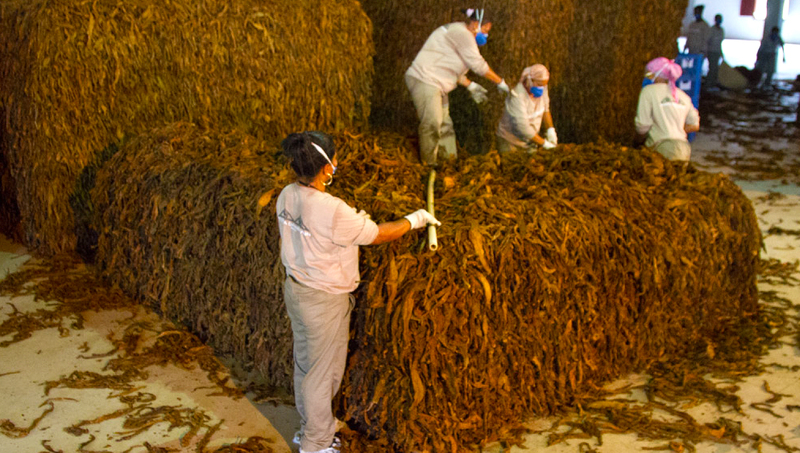 The leaves of our filler tobacco are harvested by hand, then bunched and air-cured in small traditional “lean-to" barns on the plantation. The leaves cure naturally in the tropical conditions and after three months are ready for fermentation. 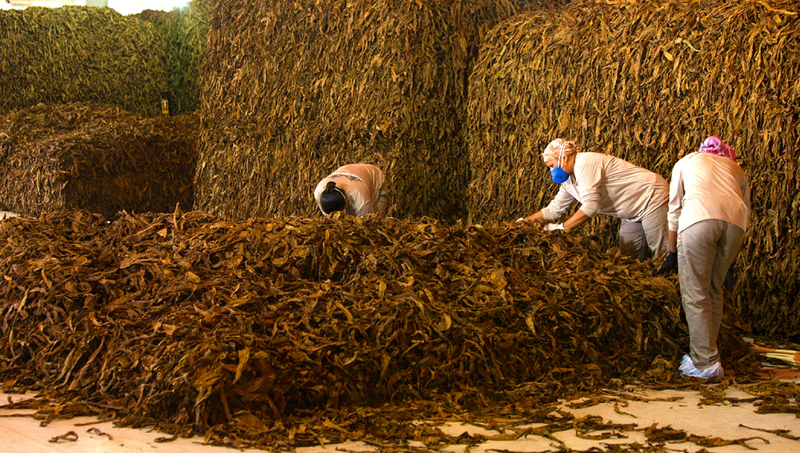 When the filler tobaccos arrives in the warehouse it is sorted and grouped ready to be piled. The crops are carefully built into 27 m3 piles weighing approximately six tonnes, then catalogued and labelled. 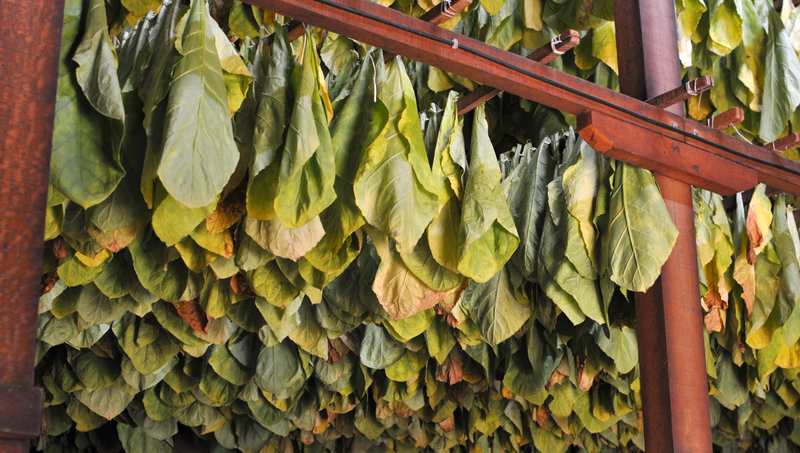 In the open air of the vast warehouses the filler tobacco begins to ferment naturally, with the enzymes breaking down the structure and the compounds within the leaves. During the fermentation process the internal temperature of the pile gradually rises. After decades of experience Angelo knows the exact temperature at which the pile must be turned to ensure even fermentation and optimum aroma and flavour. Once Angelo says the pile is ready, it is broken down and rebuilt with the outer leaves in the middle and the inner leaves on the outside. This process is repeated up to ten times over the next six months until the fermentation is complete. 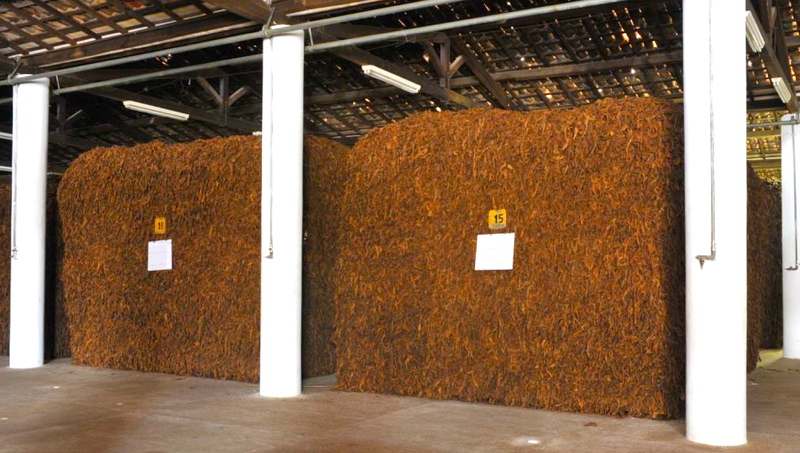 The tobaccos are now graded again, baled and rested, ready to be reunited with the wrapper leaves to create exceptional cigars. Welcome to São Félix, and CENTRO DANNEMANN. I am the quality manager, and together with our skilled charuteiras (rollers) I would like to share with you our passion for cigars. We have been hand-rolling cigars here for over 140 years and over that time we’d like to think we’ve got pretty good at it. 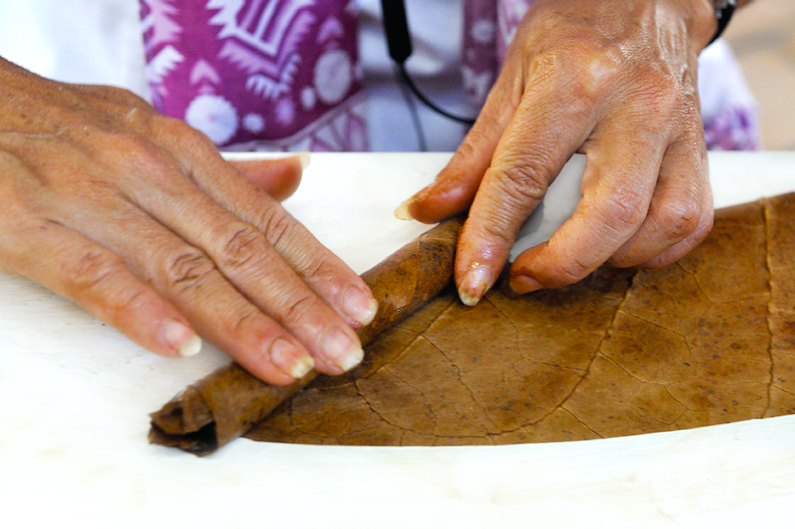 Every country that rolls cigars has a slightly different process or technique, something that suits their tobaccos or the cigars they produce. 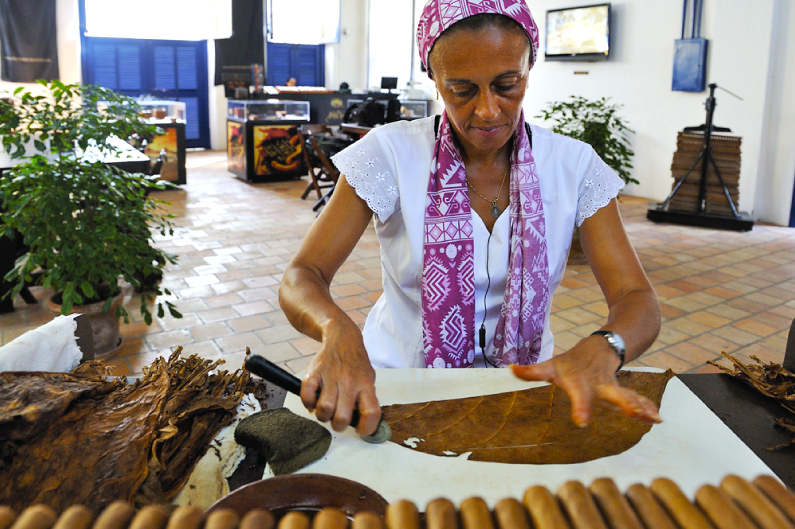 I’d like to introduce you to Rita who will guide you through the crafting of one of our special Bahian cigars. Thank you César, and a warm welcome from our rolling room at CENTRO DANNEMANN. 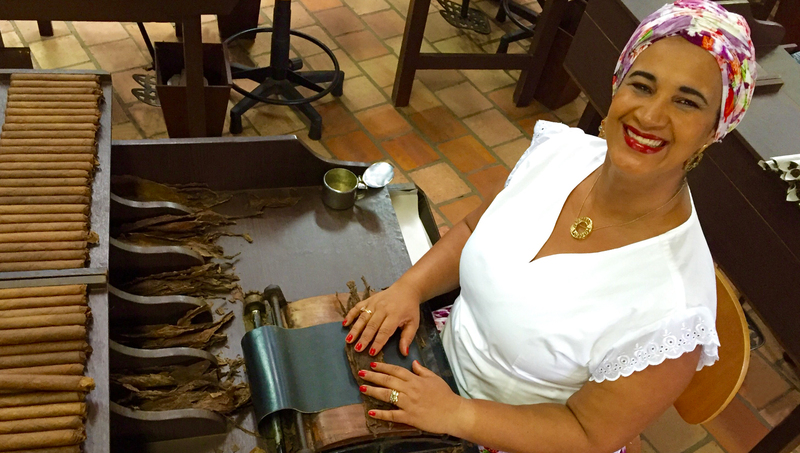 I am privileged to be one of 12 qualified rollers here and would like to share with you our traditional hand crafting process where we turn the rich and fragrant tobaccos into some of the world's finest cigars. We begin with our filler leaves, which are once again checked for quality and consistency, ensuring only the finest leaves are used in our cigars. 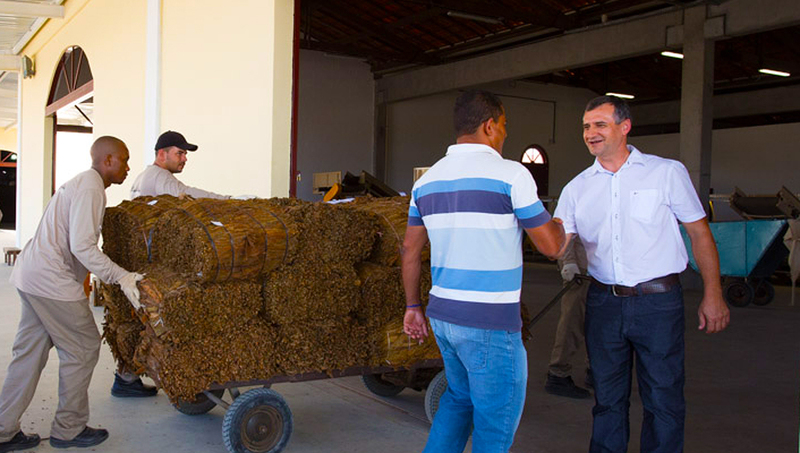 Our master blender develops a recipe for our cigars based on the season's crop. Even small variations in climate from year to year can produce subtle differences in flavour, aroma and body for the tobaccos. Leaves of a certain size, colour and position on the plant are combined to create a perfectly balanced "bunch". The leaves are held and then rolled together to form a cylindrical “bunch”. This forms the core of the cigar and will create the base aroma and flavour. 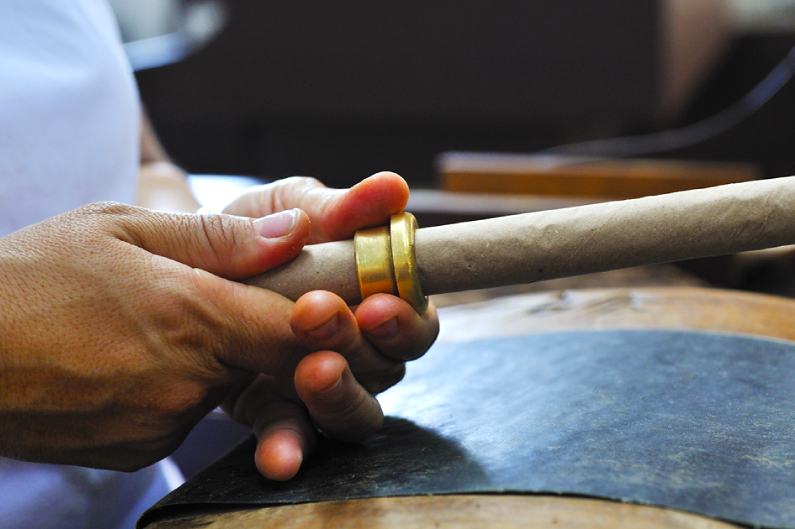 The bunch is wrapped in a protective paper to hold its form and checked with a brass sizing ring to ensure it is the perfect diameter for any chosen format of cigar. 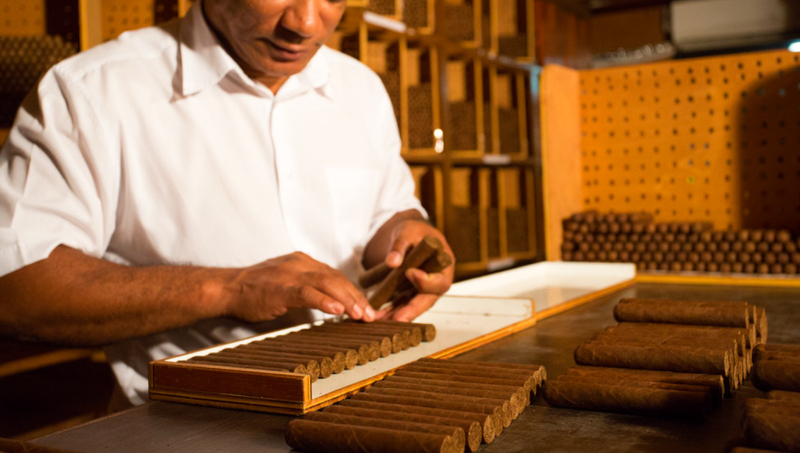 Each bunch is then individually checked for draw resistance to ensure a cigar with the perfect draw. If the bunch is wrapped too tightly it will become difficult to smoke and if it is too loose the cigar will burn too quickly without having the time to develop a voluminous smoke. Having passed the draw test, the bunches are left in our conditioning rooms to form perfect shape, ready to be wrapped. The carefully selected wrapper leaves are moistened, stretched on the rolling table and expertly trimmed to size by hand. The bunch is carefully rolled in the moistened wrapper leaf and stretched tight to ensure a fine texture and smooth finish. It is then trimmed to length and the mouth end is formed. For our Corona Cigar formats, another small section of wrapper leaf is then trimmed in the shape of an apostrophe and wrapped around the mouth end of the cigar forming a perfect seal. 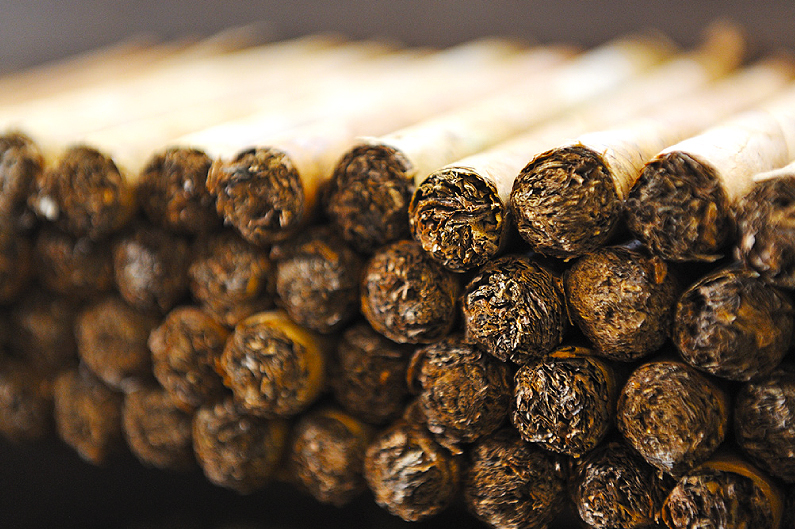 As you will have noticed by now, our tobacco spends a lot of time waiting to become a cigar (or cigarillo) . Just over two and a half years to be precise, but this is time well spent. 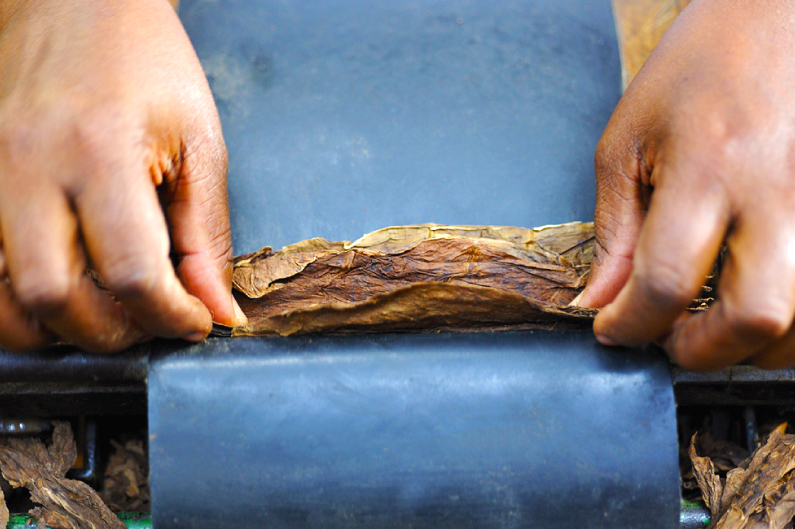 At every stage the tobacco is resting it is developing its rich flavours and aromas, ready to be enjoyed. 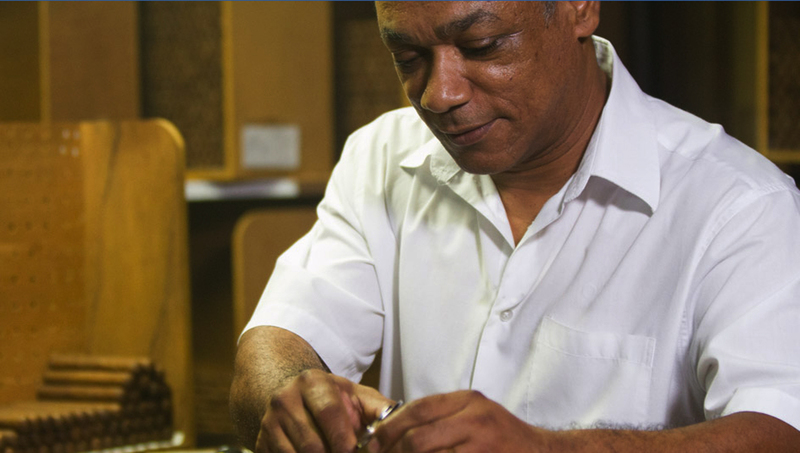 Carlos works with his team of master craftspeople in a small workshop just across the courtyard from the main rolling hall. Here sliding boxes of every size and shape are crafted. They’re branded and are ready to be paired with their cigars based on crop and wrapper type. 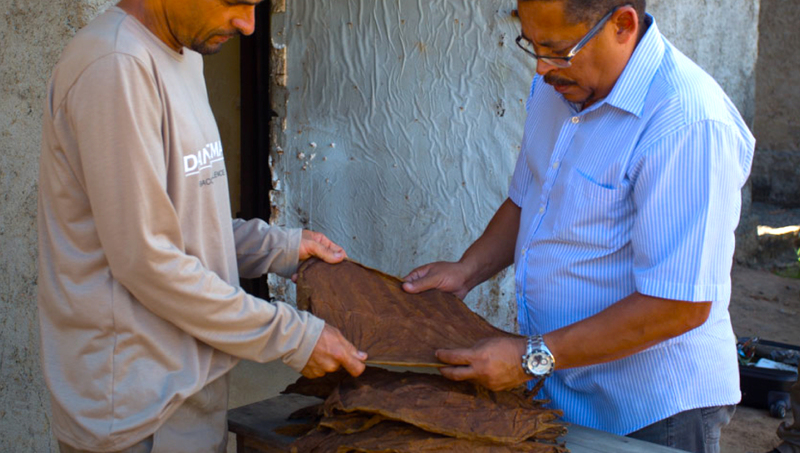 Our tobacco has been hand-sewn, harvested, cured, selected, fermented, graded, rolled and checked but César still insists on a final quality check before it's readied for you. 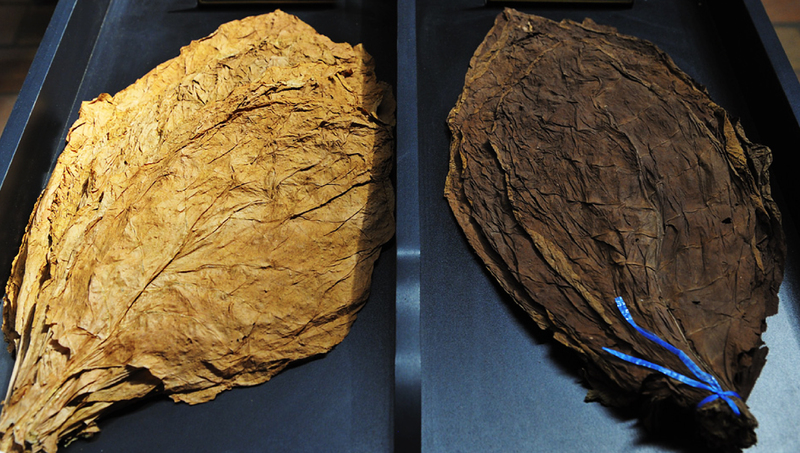 As with all natural products, there can be small variations in the colour and hue of the wrapper tobacco. We therefore visually match our cigars in sets to ensure you have a consistent experience of the highest possible quality. Finally the ring, a traditional emblem of authenticity and craft is applied, but only to those cigars who have met our exacting standards. The boxes that our Artist Line cigars are presented in are individually signed and numbered, but all cigars or cigarillos bearing the DANNEMANN name come with an exclusive guarantee, one of tobacco, excellence & craft. Crafted from the same high-quality tobaccos that are used in all of our cigars, cigarillos (or miniature cigars) offer a true cigar-style smoking experience in a compact and convenient size. Our local and global brands offer a selection of formats, sizes and tobacco wrapper types for a range of unique smoking experiences. 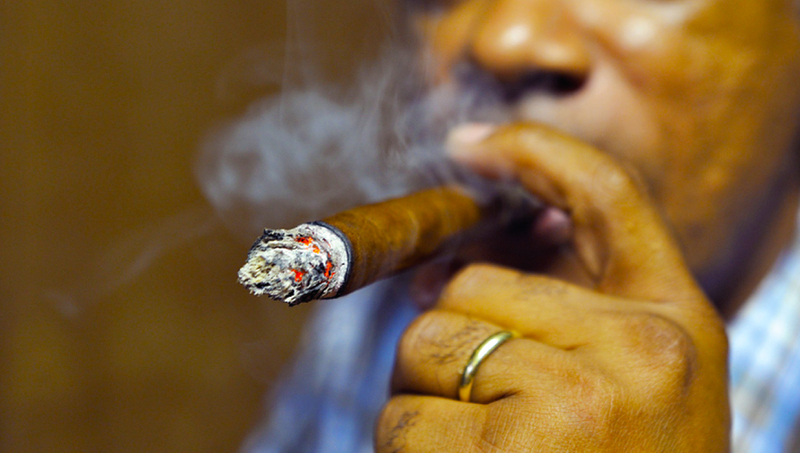 The original “miniature cigar” in a range of lengths and diameters. This style of cigarillo is included in a number of our brand families. A modern cigarillo, in a range of lengths, diameters and filter tips. This style of cigarillo is included exclusively in one of our brand families. 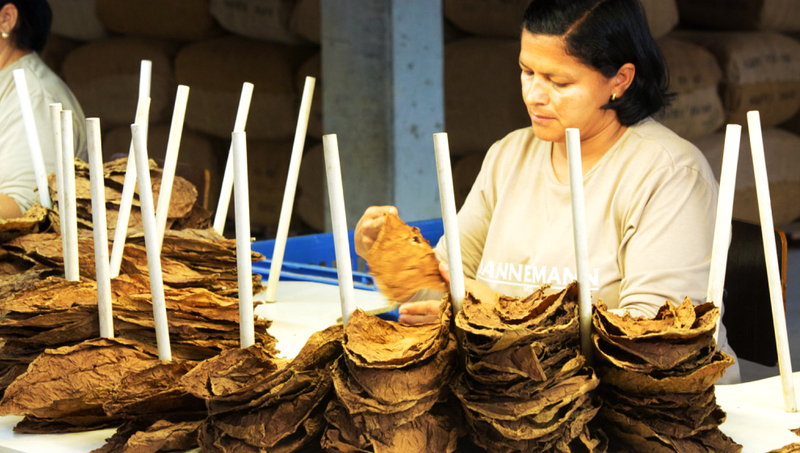 We craft both long filler and short filler cigars from a range of specially selected and exclusive DANNEMANN tobaccos. Chosen formats from our brands are offered in a range of wrapper types including dark Brazilian Mata Fina, golden San Antônio and pale Java tobacco leaves. 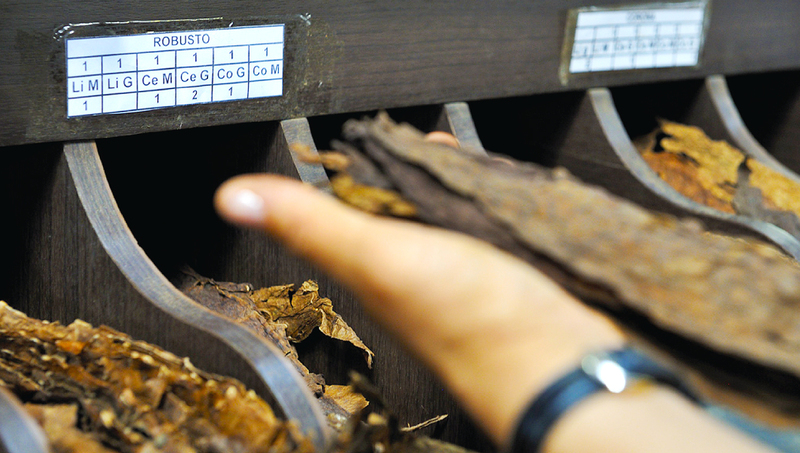 Each cigar format offers our connoisseurs the a new perspective on the flavours and aromas of our tobaccos. Classic cigar format, available in Dark or Golden wrapper, individually tubed or in boxes. Part of our hand-rolled cigar family. Traditional long filler, available in Dark or Golden wrapper, individually tubed or in boxes. 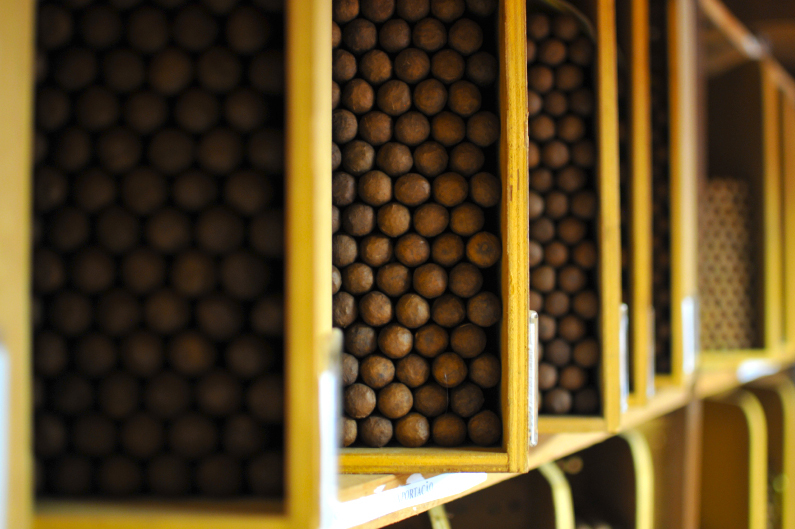 Part of our hand-rolled and premium cigar families. Short with voluminous smoke, available in Dark or Golden wrapper, individually sealed or in boxes. Elegant modern cigar, available in Dark or Golden wrapper, individually tubed or in boxes. Part of our premium cigar & cigarillo families. Petite format, available in Dark or Golden wrapper, boxed sets of 6 or 12. Part of our premium cigar family.